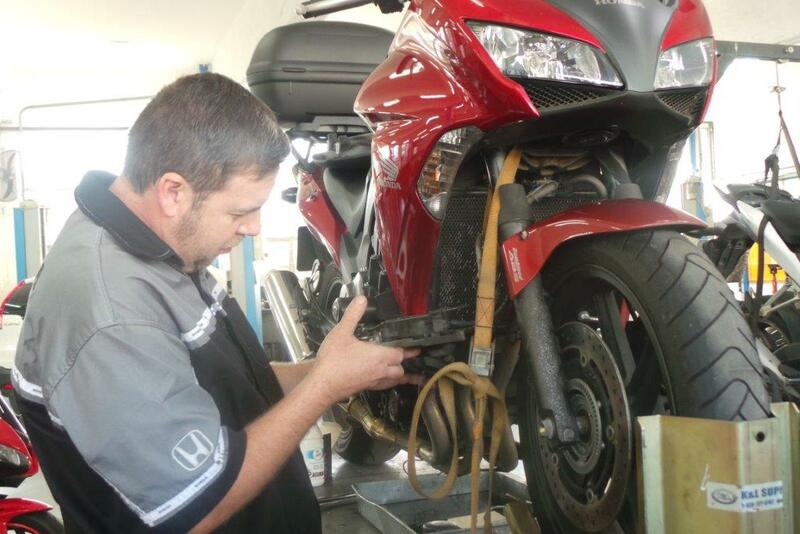 Brandon started with us here at Honda Wing Pinetown in February 2014. His passion for bikes though, started at a very young age and has been growing ever since. 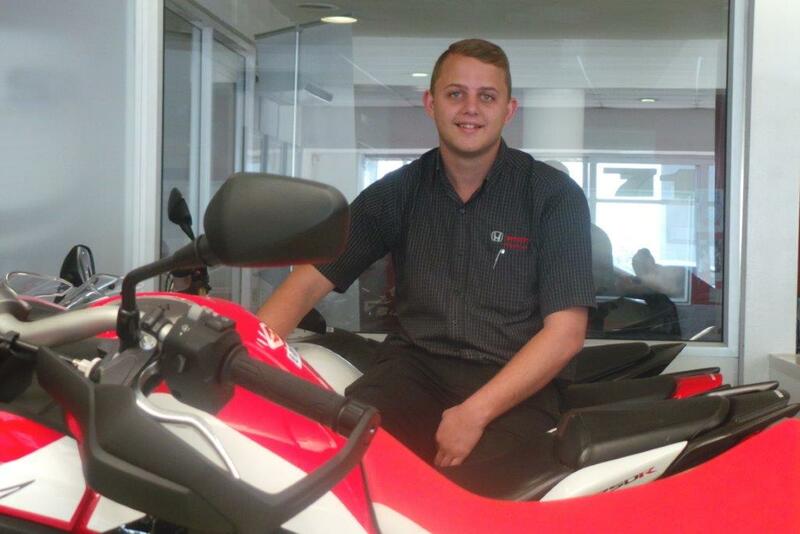 Brandon has been tutored by our team of experts and has since come into his own. 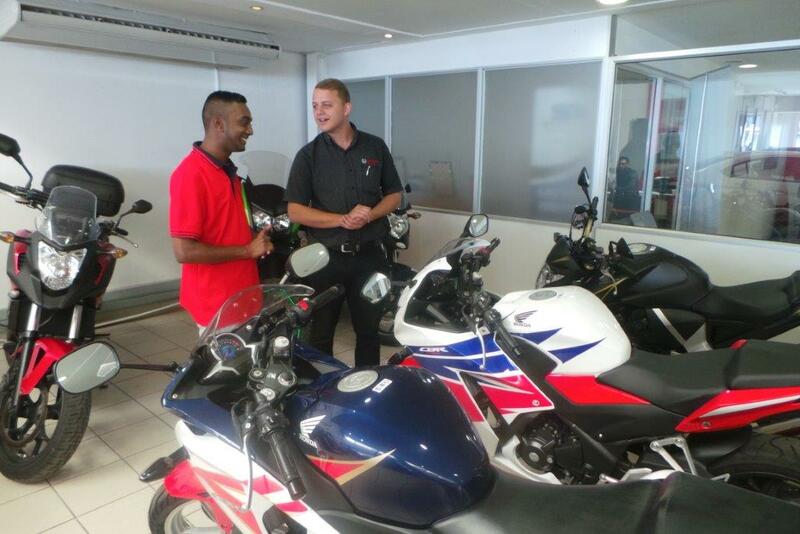 Brandon’s passion for bikes has given him the drive to excel at Honda Pinetown. Brandon is always trying to find new ways of connecting with the riders out there. Brandon’s main aim is to build a long term relationship with his clients and get them on the road with the bike they have always wanted. 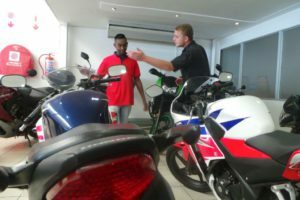 Come down and see Brandon at 110 Old Main Rd Pinetown with any queries whether you looking to upgrade or needing to trade in a bike that’s taking up space. 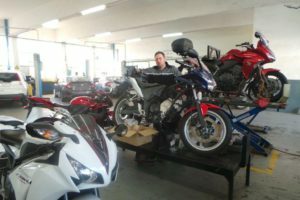 Jacobus van Biljon’s (Cobus) thirst for knowledge to better his skills as a mechanic has sent him more than around the block in a short space of time. 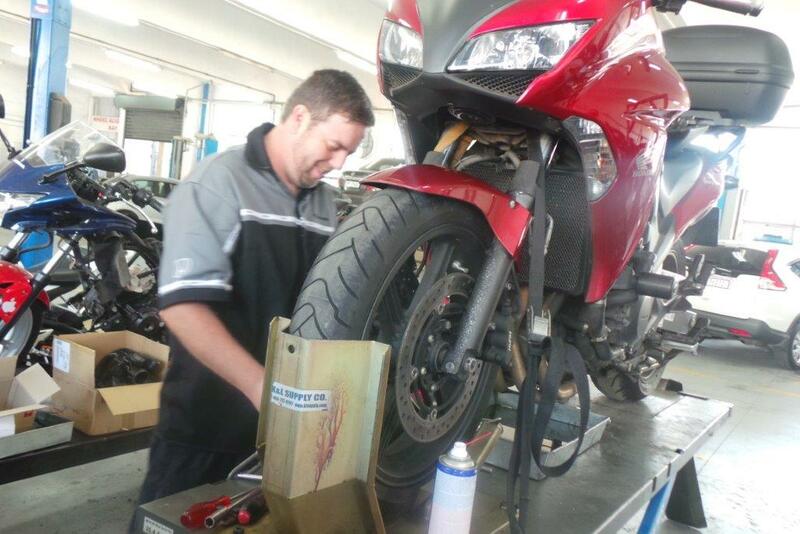 After some time managing a fleet of commercial motorcycles and a two year stint as a Service Adviser with well-known Durban mechanic Trevor Crampton, he started on his journey. Yamaha, is where he completed his trade, under Journey Man, Gregory Irvine (Chief race Mechanic for the Ekerold brothers, 250 & 350 Moto Gp of the ‘80’s).  While at Yamaha he was also a student at the Yamaha Training academy, under the tutelage of Dave Harris. He received top of his class in YTA Bronze. After completing YTA Silver the next year he once again joined up with Trevor Crampton, this time at a KMSA dealership. Adding to his knowledge base Triumph, Kawasaki, Moto Guzzi, Aprilia and smaller brands Sym, PGO and Aeon. When the dealership was joined by D.C. Suspension’s very own Darren Coleman, Cobus saw the opportunity to broaden his knowledge base once again, gaining a better understandingof the inner workings of motorcycle suspension. 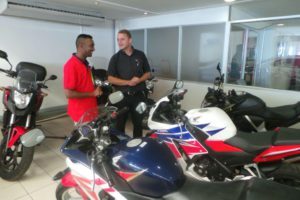 During this time, as part of a team lead by Darren, he assisted two local riders in the famed Airport race of the 2014 Super GP race series. After that he Joined a BRP agent learning about Can Am Quads and Spyders as well as Seadoo jet ski’s and boats. 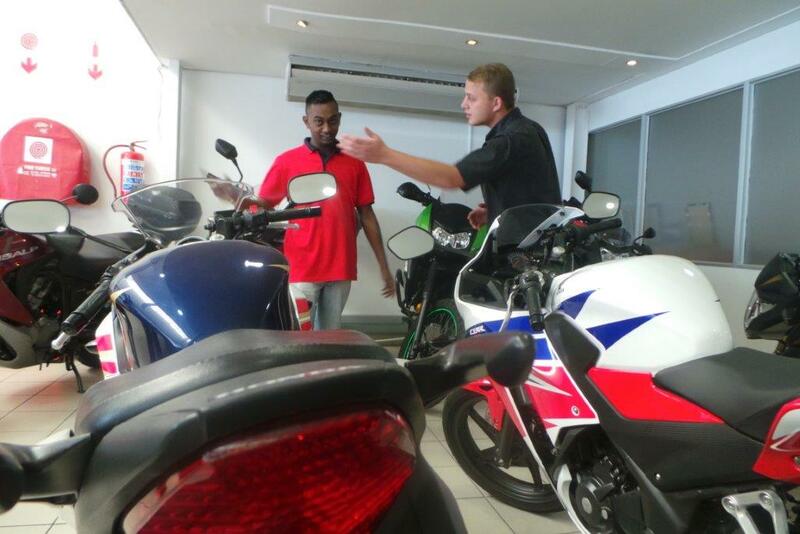 Now he has joined Honda Wing Pinetown, 110 Old Main Rd,Tel.  031 714 3600, bringing with him years of experience and passion to keep his customers on the road.